The house was over a hundred years old and was situated in a very up-scale neighborhood. 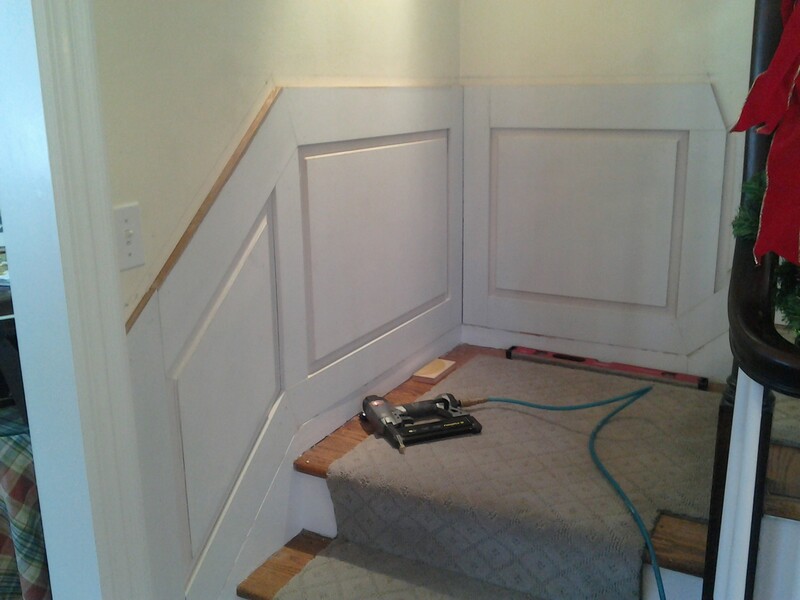 Any investment in a good quality, home improvement was a wise one. Their dining room & foyer, staircase & hallway… were the first places that were seen when you entered their home. 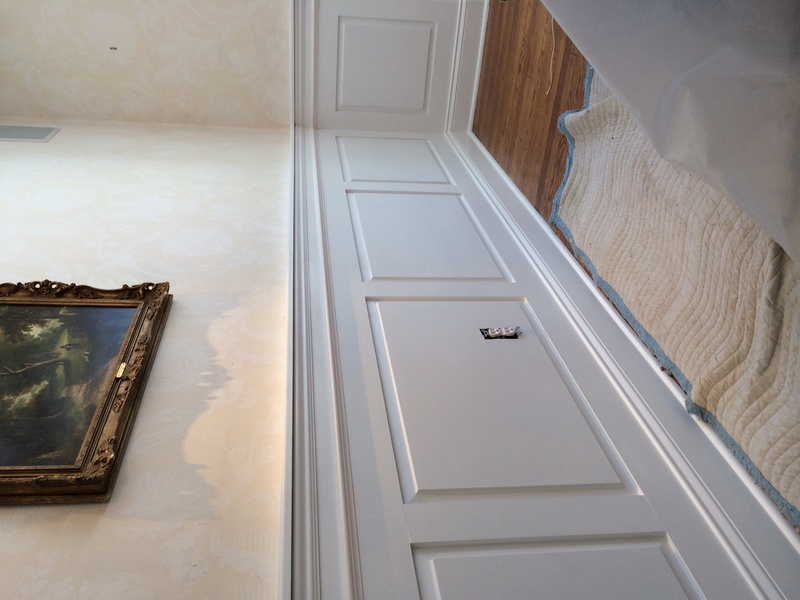 We were asked to build wainscot to adorn all of these walls. 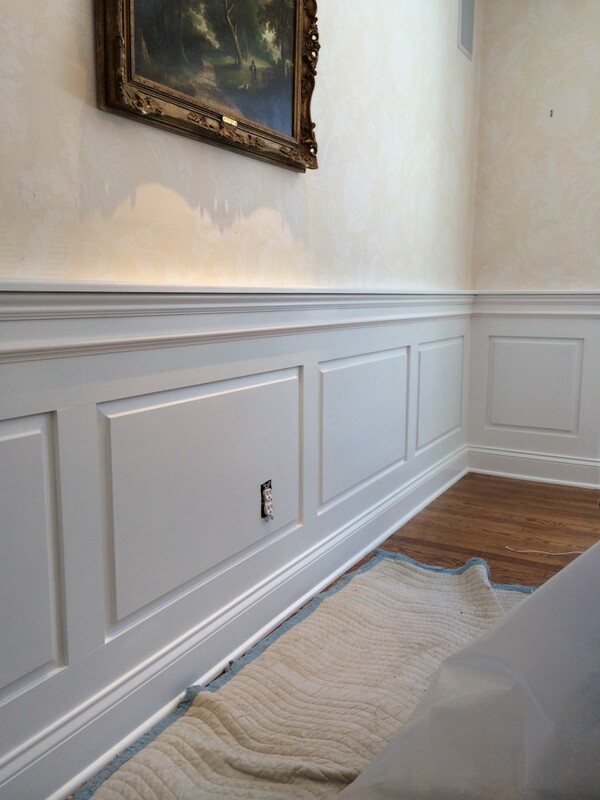 They wanted a more formal, frame & (raised) panel wainscot, not simply bead board with a cap, as seen in many ‘turn of the century’ country homes. 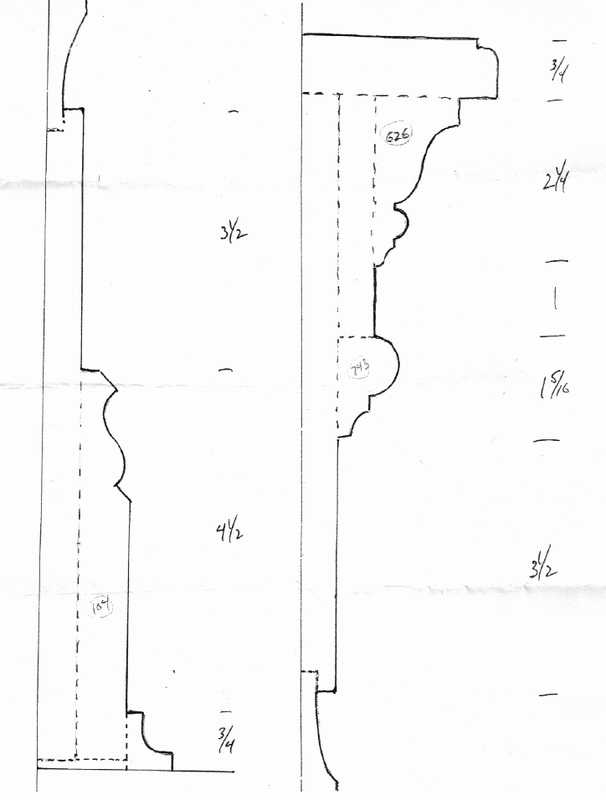 We created a sample of the wainscot 34″ high but only 4″ wide … based on their approval of the final profile drawing (showing the cap & base sections). 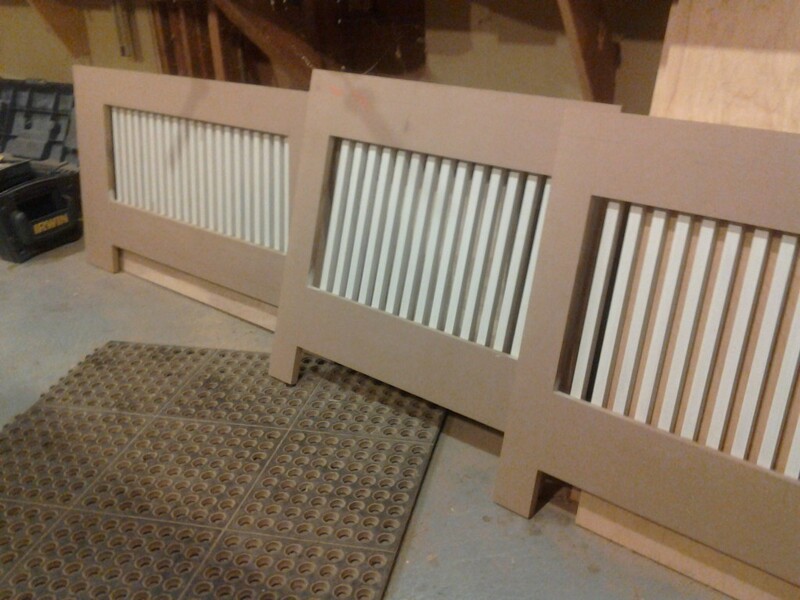 We had three radiator covers to make. 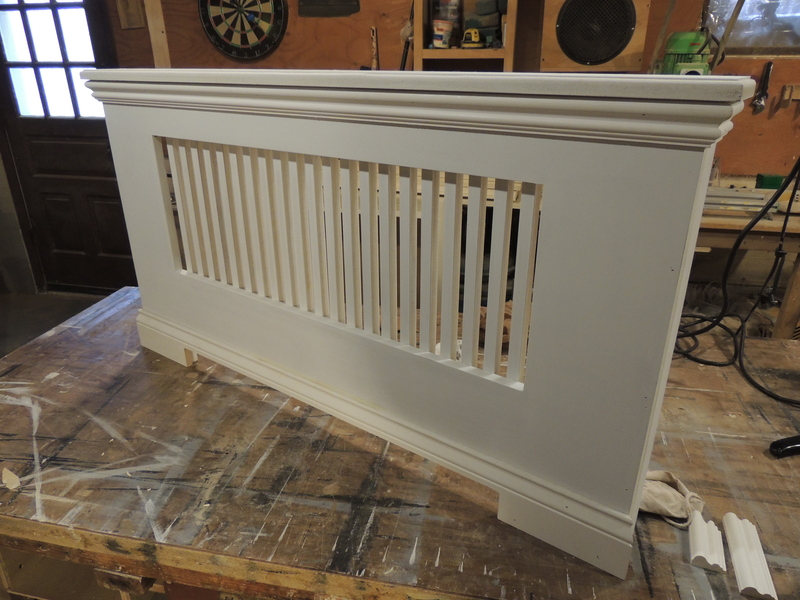 Each had to ‘ fit ‘ within the wainscot very well … (both in terms of size & style). We first created the covers faces in the shop and sealed them well, backside & front. I usually do a drawing of the frame & panel placement right on the walls. 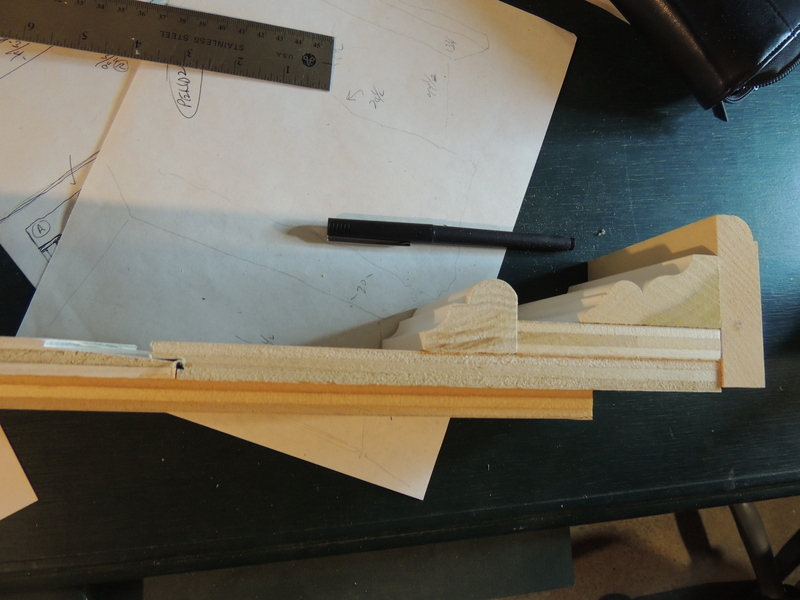 This verifies the sizes of the panels to be made back in the shop …but it also helps the client to envision what this ‘wall covering’ will look like. 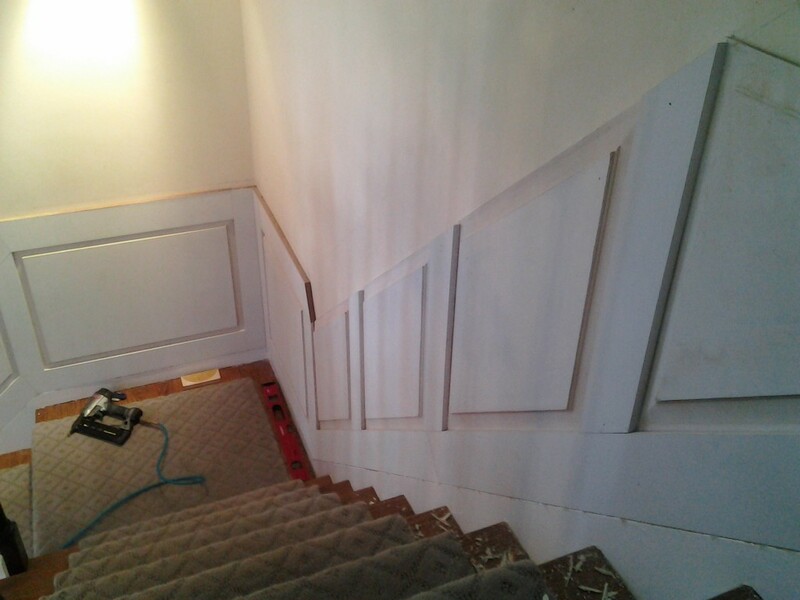 This becomes even more critical for those diamond-shaped panels climbing the staircase. Here are 2 shots of the staircase being installed. 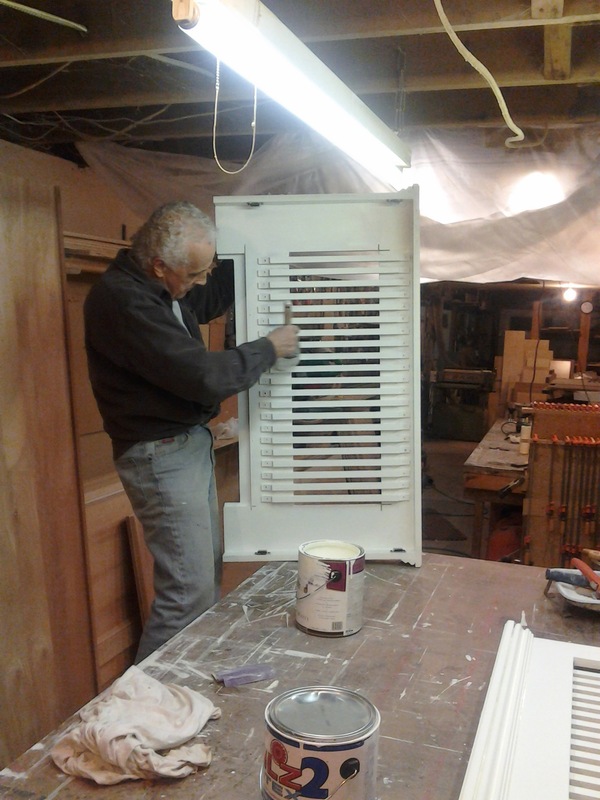 Our installation time was somewhat limited so we began installing panels while our painter began placing a final coat on those sections already completed. 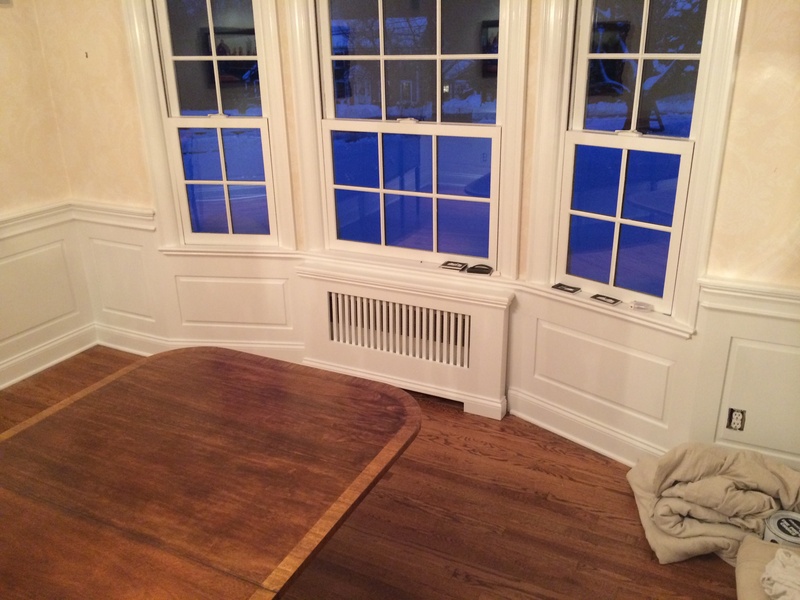 Here are two walls in the dining room freshly done. The only way to see the whole job is to show this short video I managed to grab when I returned two weeks later to do another project for them. The good work payed off, it seems.